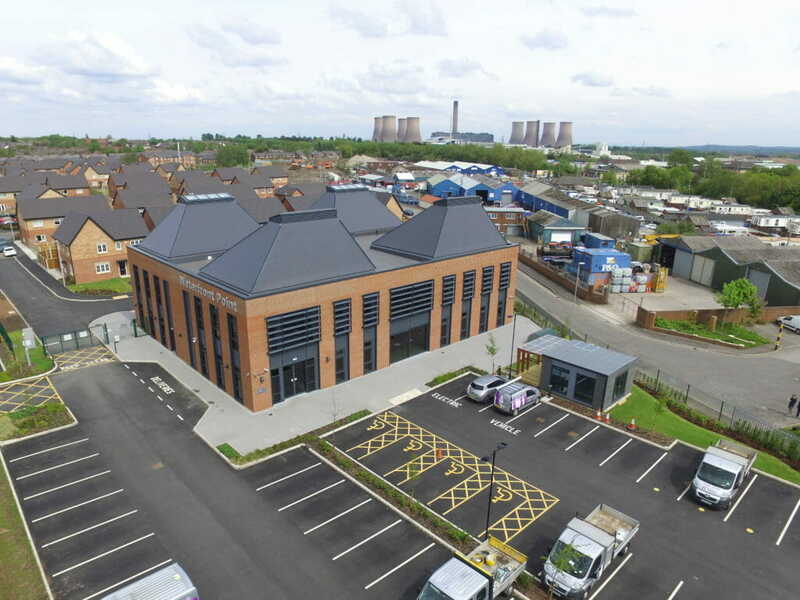 The collaborative project detailed in the respective images shows the stunning Headquarters of Halton Housing. Situated in Widnes, just a stones throw from the stunning Mersey Estuary. The concept of the meeting pod was to create a demonstrative meeting space for Halton Housing, to be used by their staff and guests as a valuable daily resource. The Pod gives Halton Housing a segregated space, insulated from the even more impressive main building; ‘Waterfront Point’, allowing focus meetings to go undisturbed; in a environment that demonstrates the forward thinking mentality adopted throughout Halton Housing. 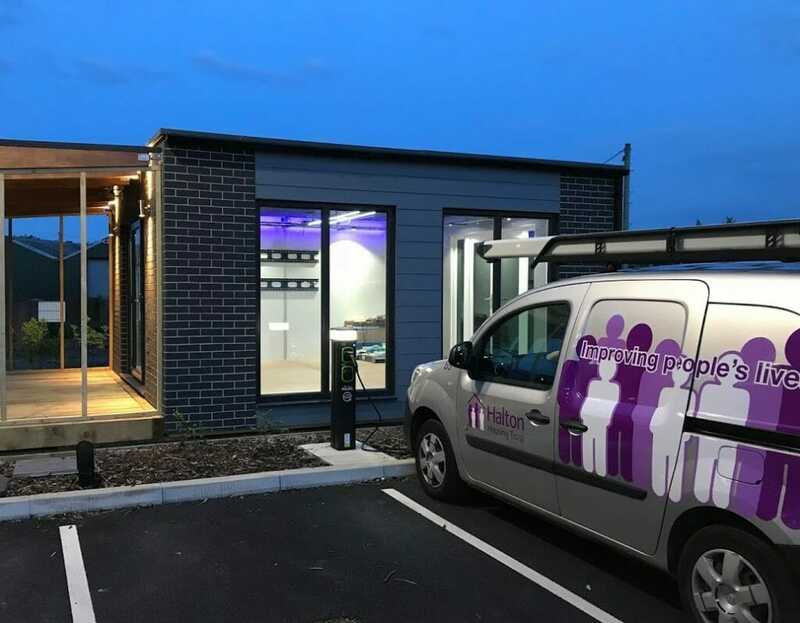 The Pod is now home to Halton Housing’s ‘Disruption Team’, whose specific task is to research, test and perform due diligence on any new technology that may help Halton Housing and their highly valued tenants. The remit of the pod for Extreme Low Energy was to use it as a ‘display case’, allowing our technology to be on show, demonstrating the simple concept behind how extra low voltage, DC power infrastructure looks in a building; where all constituent parts are on show. The installed equipment includes all facets of ELe core technology. The task for Simply Modular was to demonstrate and supply a contemporary ‘fabric first’ build. Using offsite assembly, panelised building techniques; to create an extremely well insulated, robust design requiring minimal energy input year round. This links closely with the low power, high efficiency paradigm behind Extreme Low Energy technology.